Combining traditional Moroccan motifs with a modern style twist, Fresco rugs add colour and vibrancy to your home. Each rug has been handwoven and then dip-dyed to create a rug for your home that doubles up as a work of art. There is a selection of beautiful, vibrant colours available in this rug and the intricate design and array of colours means it is a piece which suits many different styles of home. Each Fresco rug is made with a combination of 80% wool and 20% cotton which makes it super-soft to touch and it has a pile height of 10mm and a weight of 3200g per square metre. The colour washed style of this rug means it adds a splash of colour to your space without overwhelming it. 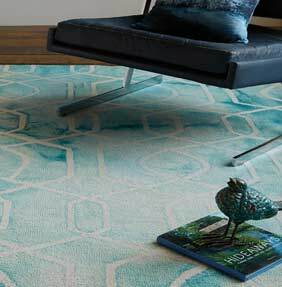 It is part of the Modern Wool Collection from Asiatic Carpets, a range which celebrates colour and texture in an original way.